Tesco (Xetra: 852647 – news) has announced it plans to sell coffee chain Harris (Stuttgart: HRS.SG – news) and Hoole to Caffe Nero – as boss Dave Lewis said he was encouraged by progress across the wider business. It (Other OTC: ITGL – news) follows the recently announced disposals of garden centre chain Dobbies , the Giraffe restaurant chain, and Turkish supermarket Kipa. A sale of Harris and Hoole had been expected to follow as boss Dave Lewis continues to slim down the business to focus on its core UK supermarket trading, reversing the dramatic expansion of the retail behemoth under previous management. Shares (Berlin: DI6.BE – news) rose more than 1% in early trading and closed 0.8% up. The announcement came as Tesco reported a second successive quarter of sales growth for the first time in more than five years. Britain’s biggest supermarket said UK like-for-like sales rose 0.3% in the first quarter to 28 May – but this was a slowdown compared to 0.9% growth in the fourth quarter and Mr Lewis said the market remained tough as prices fall. Mr Lewis said: “We have delivered a second quarter of positive like-for-like sales growth across all parts of the Group in what remains a challenging market with sustained deflation. Tesco said much of the “deflationary” effect weighing on its sales growth came from its introduction of cheaper new ranges including meat, fruit and vegetables. The supermarket is battling to recover under Mr Lewis, who took over nearly two years ago when predecessor Phil Clarke departed amid sliding sales and tumbling profits. Tesco is also facing the fallout from an accounting scandal. In May, it reported a £162m annual profit after slumping to a £6.33bn loss the year before, though warned that the tough market would slow the pace of profit improvement. The wider industry is under pressure as store chains cut prices, faced by the threat from discounters Aldi and Lidl. 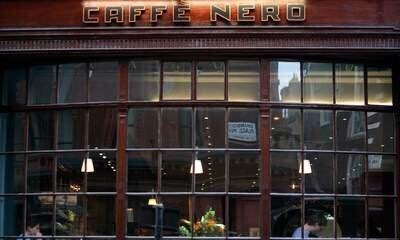 Tesco said in its latest trading update: “Following on from the agreed sales of Dobbies Garden Centres and the Giraffe restaurant chain, we are announcing today the proposed sale of Harris and Hoole to Caffe Nero. Harris and Hoole has 43 shops and around 400 staff. Tesco first took a stake in the company three years ago before later taking full ownership. The sale price for the business has not been disclosed. Posted on June 29, 2016, in #retail, #uk. Bookmark the permalink. Leave a comment.